Berlin (CNN) Germany, France and Britain have joined forces to establish their own trade channel to Iran and circumvent United States sanctions, according to a joint statement made by the so-called E3 on Thursday. 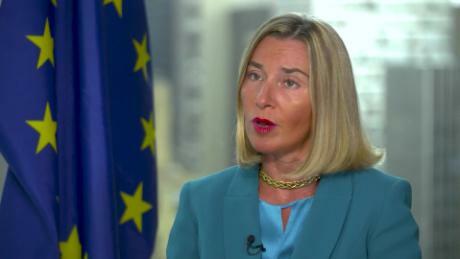 The three signatories of the 2015 Iran nuclear deal have been working for months to establish a measure allowing payments between Europe and Iran to continue, in the wake of the US withdrawal from the agreement in May. Now the European countries have officially established that channel, in a move likely to displease Washington. German Foreign Minister Heiko Maas, French Foreign Minister Jean-Yves Le Drian and British Foreign Secretary Jeremy Hunt announced the «special purpose vehicle,» known as the Instrument in Support of Trade Exchanges (INSTEX), at a meeting of EU foreign and defense ministers in Bucharest, Romania. The INSTEX channel will be used by Europe to sell only food, medicine and medical equipment to Iran, with the possibility of expanding in the future, German broadcaster NDR reported. «We have been looking for ways to obtain this agreement because we are firmly convinced that it serves our strategic security interests in Europe,» Maas said during a press briefing in Brussels earlier in the day. According to a report by NDR, INSTEX will be based in Paris and managed by a German banking expert. A supervisory board will be run out of the UK. The US State Department said on Thursday that it was «closely following» reports on the mechanism. «As the president has made clear, entities that continue to engage in sanctionable activity involving Iran risk severe consequences that could include losing access to the U.S. financial system and the ability to do business with the United States or U.S. companies,» a State Department spokesperson said. 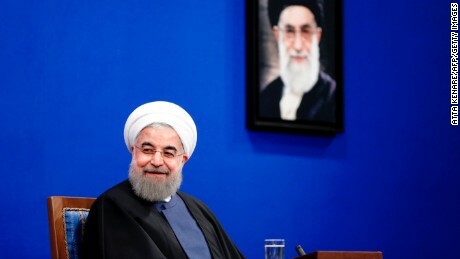 The European channel is likely to ease relations between Europe and Iran, which had become strained recently amid Iran’s ballistic missile program and attacks against Iranian dissidents in Europe. How willing European companies will be to take up the new payment channel remains to be seen, with many larger businesses already cutting back or eliminating links with Iran for fear of US sanctions. CNN’s Nadine Schmidt reported from Berlin, Sheena McKenzie wrote in London. Sara Mazloumsaki, Saskya Vandoorne, Claudia Otto and Jennifer Hansler contributed to this report.